Closeouts. Sure to be a favorite for summery gatherings, Gillian’s Closet Oxford Garden Party dress features flowers, ladybugs, watering cans and teapots against the blue and white striped skirt for a sweet and charming look. 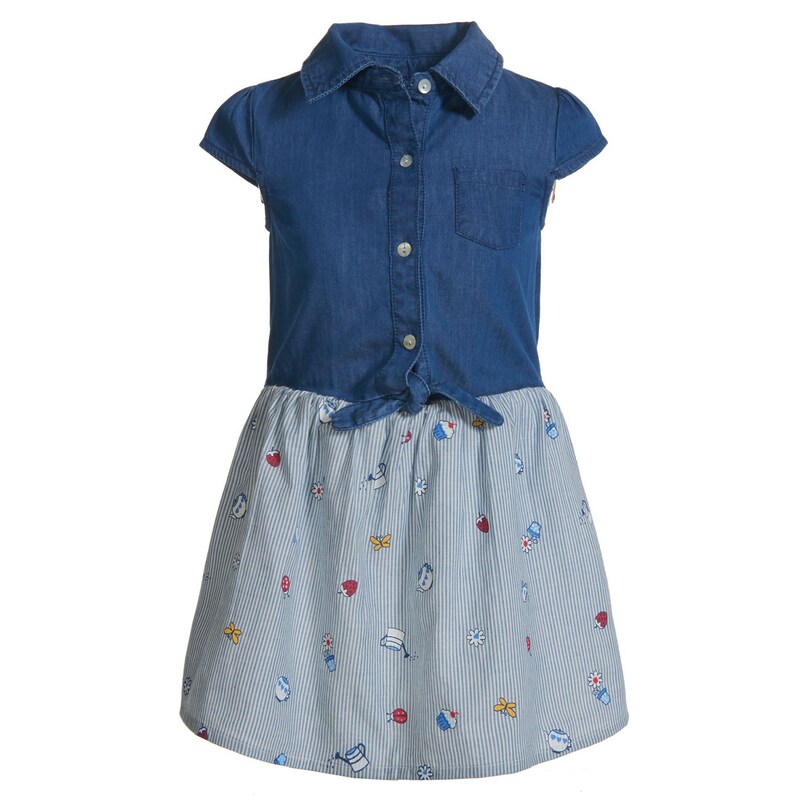 Short capped sleeves and solid contrast top offer chic girl style.